OPEN HOUSE this Sunday Feb. 17th 1:00-3:00pm. Come On By! 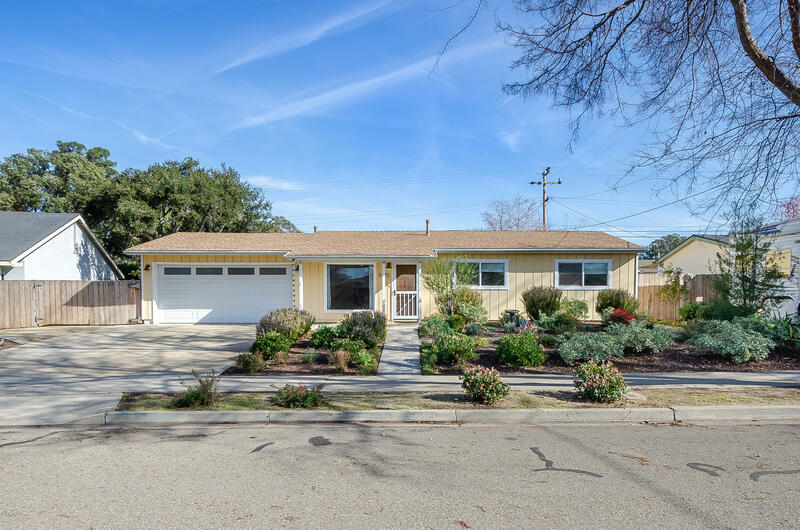 Beautifully Updated Family Home In Desirable Orcutt Neighborhood. 3 Bdrms, 2 Baths, Approx. 1,131+ Sq.Ft., 2-Car Garage & RV Parking On An Approx. .19 Acre Lot In The Distinguished Orcutt School District. Features; Comfortable Living Room With Handsome Floor Tile & Attractive New Carpet, Premium Ceiling Light/Fan, Recessed Lighting, Lovely Color Paint Design And Large Front-View Picture Window. Beautiful Kitchen With Deep Wood-Style Cabinetry, 2 Pantries, Solid Surface Counter Tops, Tile Floor, New GE Gas Stove/Oven, Breakfast Bar & Dining Area. Wonderful Yard With 14 Fruit Trees, Grape Vines, Raspberries, Garden Boxes, Automated Drip Irrigation System With Rain Sensor, Backyard Children's Play Set, Tree House & Nice Storage Shed. Directions to Property: From E. Rice Ranch Rd., take Princeton Dr. north, turn right on Rainey to Stanford.